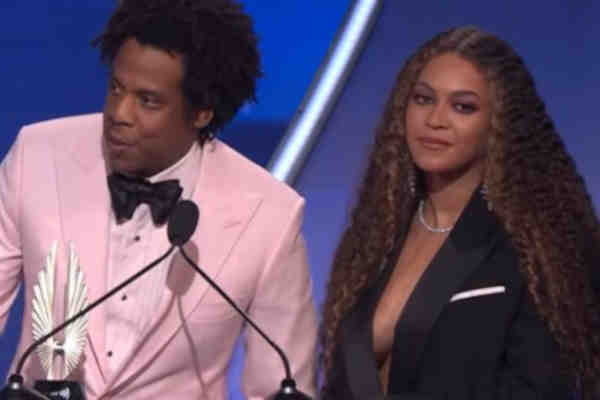 GLAAD on Thursday honored Beyonce and Jay-Z for their LGBT advocacy at its 2019 Media Awards in Los Angeles. GLAAD presented the couple with its Vanguard Award, which honors “allies who have made a significant difference in promoting acceptance of LGBTQ people.” Previous honorees include Britney Spears, Janet Jackson, Cher, Jennifer Lopez, and Jennifer Aniston. In accepting the award, Jay-Z praised his mother, who came out as a lesbian on his album 4:44. “He lived his truth. He was brave and unapologetic during a time when this country wasn't as accepting. Witnessing his battle with HIV was one of the most painful experiences I've ever lived,” an emotional Beyonce said.